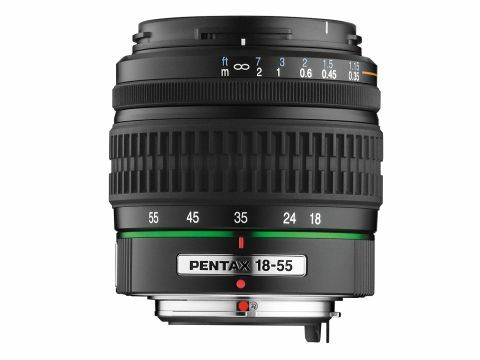 Small and light, the Pentax 18-55mm looks more like a standard 50mm prime lens than a zoom. The filter size is refreshingly small at 52mm, although the lens is reasonably fast at f/3.5-5.6. There are few frills and not a switch to be seen, but you can manually override the focus setting in Autofocus mode, using the focus ring behind the non-rotating front element. Autofocus is a bit noisy but fast on end-to-end sweep, though hunting slows down its performance. Optically, the Pentax fared well for ghosting and flare, making the most of its SMC (Super Multi-Coating) technology. Sharpness proved good around the centre of the zoom range but dropped off at wide-angle and towards the telephoto end.